Ailsa Craig (also known as Paddy's Milestone) lies in the outer Firth of Clyde, Scotland where blue hone granite was quarried to make curling stones. The island is a bird sanctuary, providing a home for huge numbers of gannets and an increasing number of puffins. 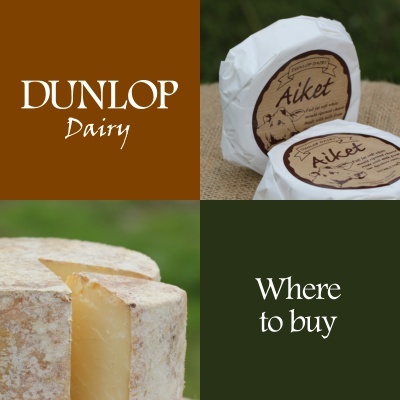 Of course you can always come to our farm to buy our full range of cheeses, but we have an extensive range of quality suppliers and have listed them below... please click the links below for their details and websites. If you stock our cheese and you are not on this list, please let us know. Also if you would like to stock our cheeses please get in touch.